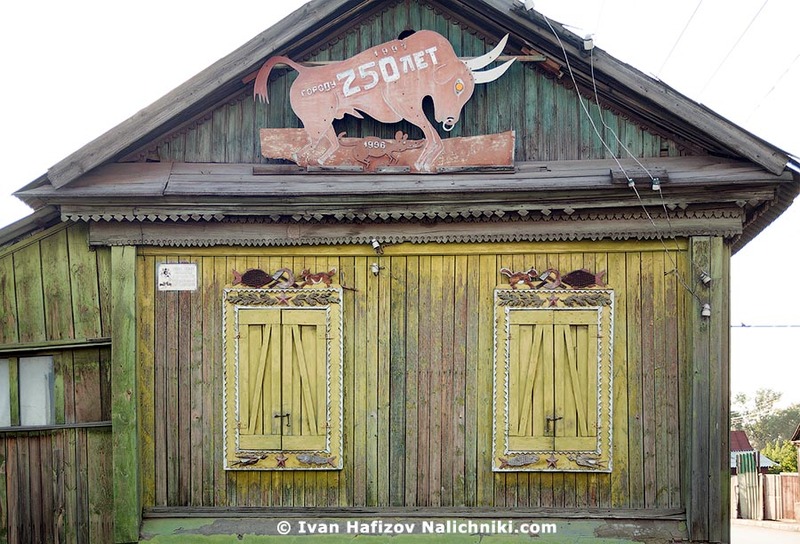 The owner of this house in Engels, Saratov Oblast, found the most unusual way for marking the coming of the year 1997. It presents the Bull (symbol of 1997) driving away the Mouse (1996). The plate offers no answer to this clue: it just informs a WWII veteran lives here.